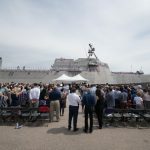 NOVEMBER 9, 2017, San Diego – ESPN’s show “First Take” was broadcast live from the flight deck of the Freedom-class littoral combat ship USS Freedom (LCS 1), Nov. 6. 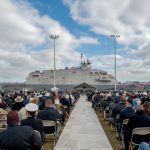 Over 150 Sailors, veterans, families and friends attended the live broadcast of “A Salute to America’s Heroes,” in celebration of the upcoming Veteran’s Day. 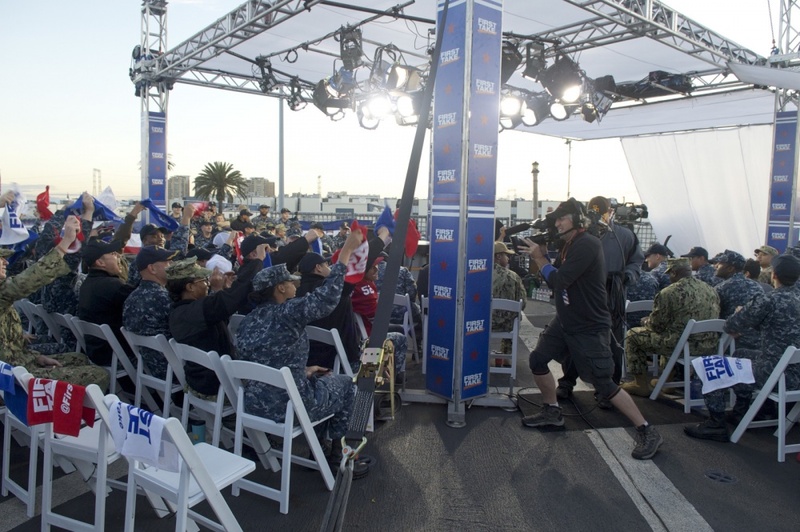 In addition, four Sailors asked sports-related questions live on air and several other Sailors took part in a pre-taped opening for the show. The live taping is part of a week-long celebration by the network in honor of Veteran’s Day, with additional shows planned for the week leading up to Nov. 10. “First Take” staff worked with the Navy for several months to select the best location to showcase the Navy’s Sailors and ships. The show’s producers said they chose Freedom because they wanted a location that would be “special” and “standout” from the other shows ESPN is airing later in the week. 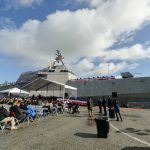 Freedom is the first ship of the Freedom-class littoral combat ships (LCS) and the third ship of the U.S. Navy to be named for the concept of freedom. 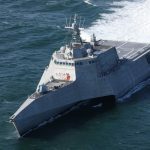 LCSs are designed to be fast, agile, shallow draft, and mission-focused with the ability to operate in littorals and open ocean.